DataFromSky has recently analyzed several traffic videos collected in United Arab Emirates, near cities of Dubai or Abu Dhabi. Output from one of these analysis may be seen below, or on our Vimeo channel. This analysis proves, that our system is adapted and capable of analyzing the videos in various weather conditions, including very dusty or sandy environment such the one in Emirates, as proven in the video. 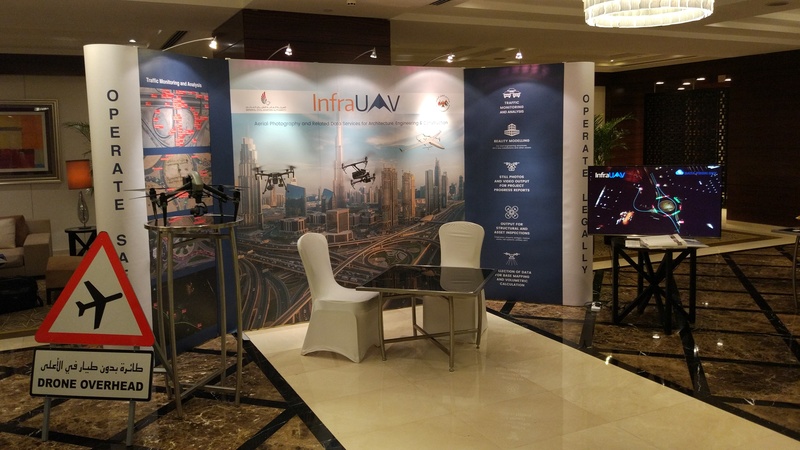 Moreover, in recent times, our team of DataFromSky is working on development of realtime UAV solution – drone analyzer, that will be able to provide accurate traffic data right off. The main objective is to design the cutting edge technology: an UAV based solution for the purpose of active traffic management over a road network. The solution will be capable of providing real time video monitoring and traffic data collection on the road, starting with the simple vehicle counting, monitoring of traffic density, actual speed and acceleration, up to the vehicle number plate recognition. One of the specific and useful feature will be possibility to identify near accidents and collisions (identify dangerous behaviour of road users, slow moving traffic, stopped vehicles, traffic jam etc.). Keep following our website and social pages to watch our progress (Twitter, Facebook, LinkedIn)!